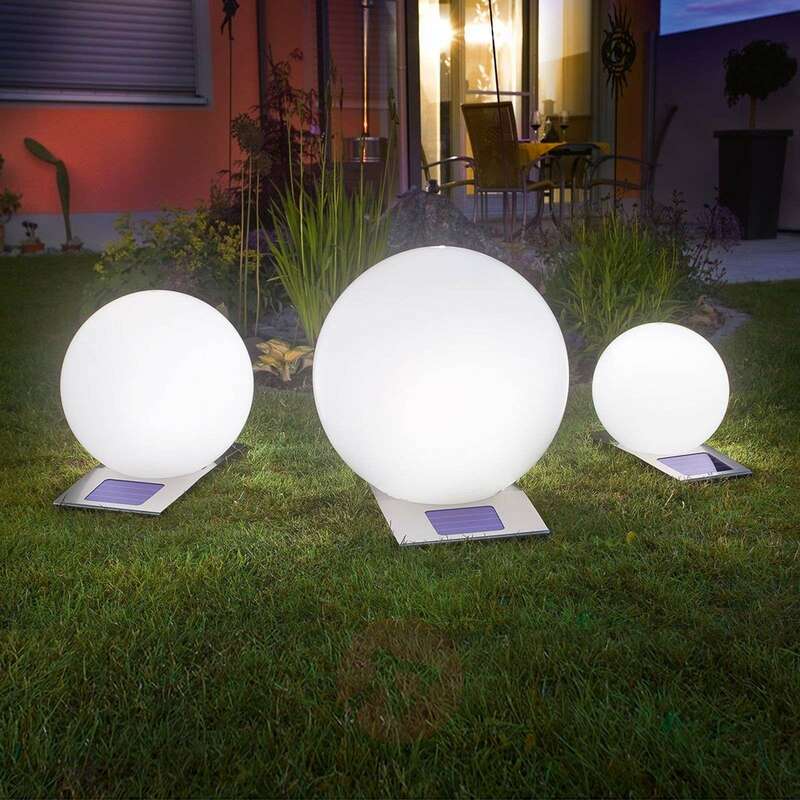 The UV-resistant solar light ball Trendy is a great decoration idea for the summer and winter inside and outside. Operation through wall power supply indoors (permanent operation) or outside through solar module. 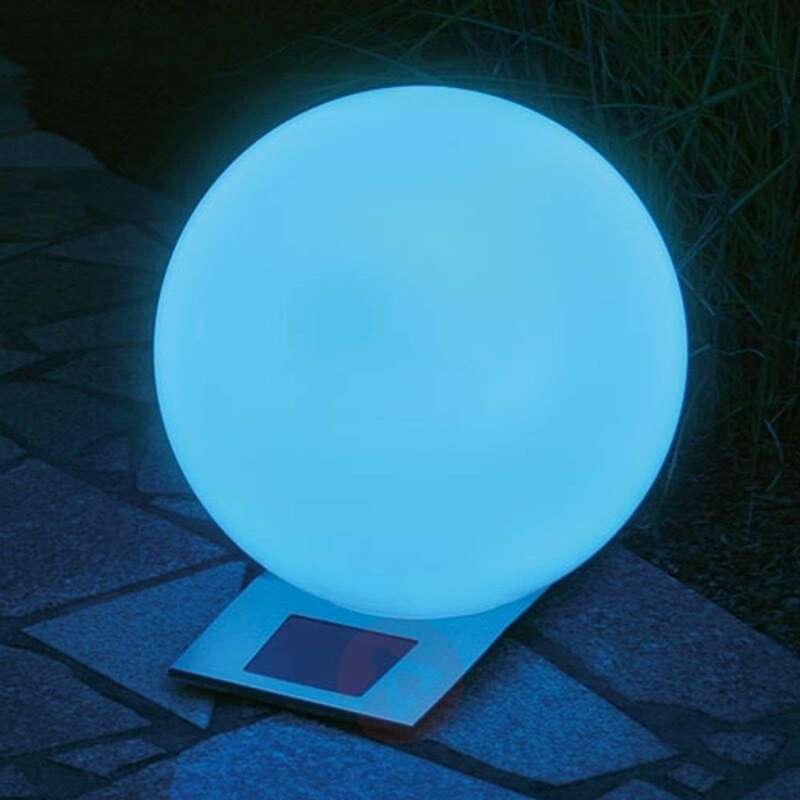 The battery pack is charged during the day through the sun's energy and the solar light ball Trendy turns on automatically upon dusk. The light colours change softly between the colours (red, yellow, green, white, smaragd (light blue), blue, purple, red, ...). If desired, a light colour can be set as a permanent light through a switch. 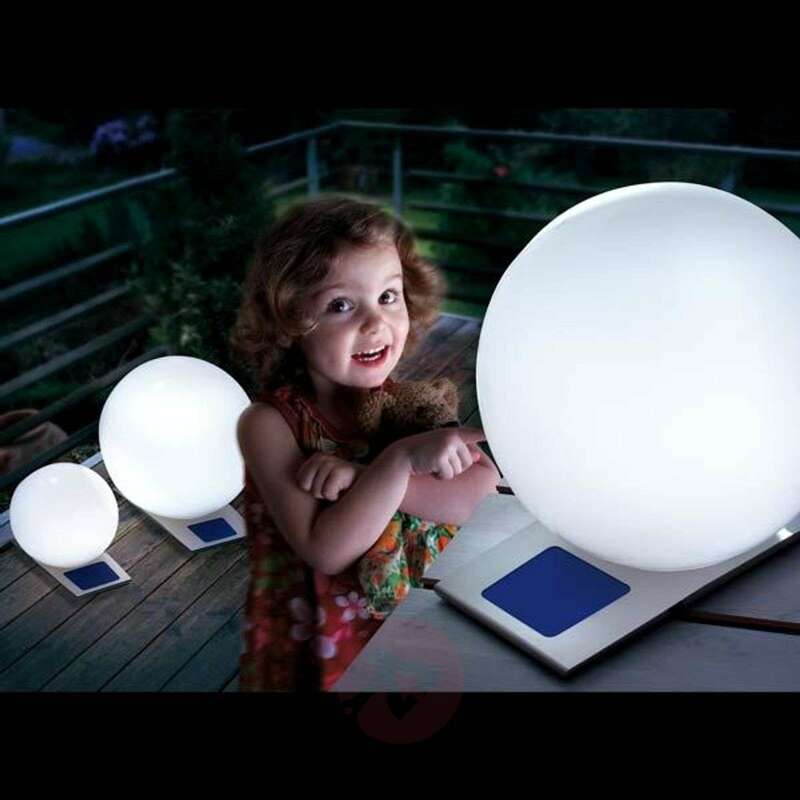 The lighting is carried out through four energy-saving 4 Chip LEDs (LED RGB). 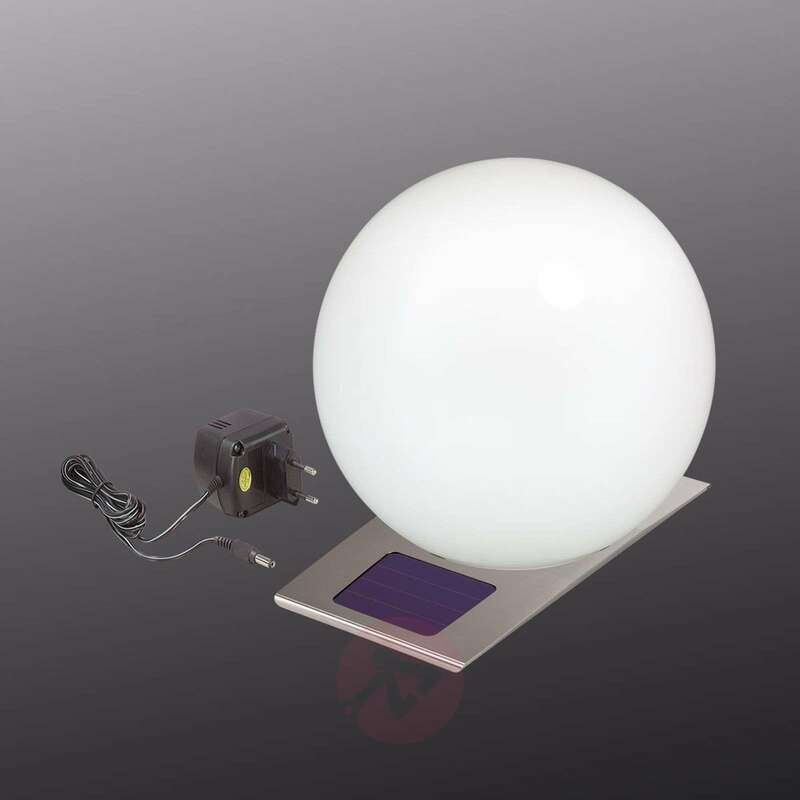 Through the luxuriously dimensioned solar module, it is also a good function during the winter months. 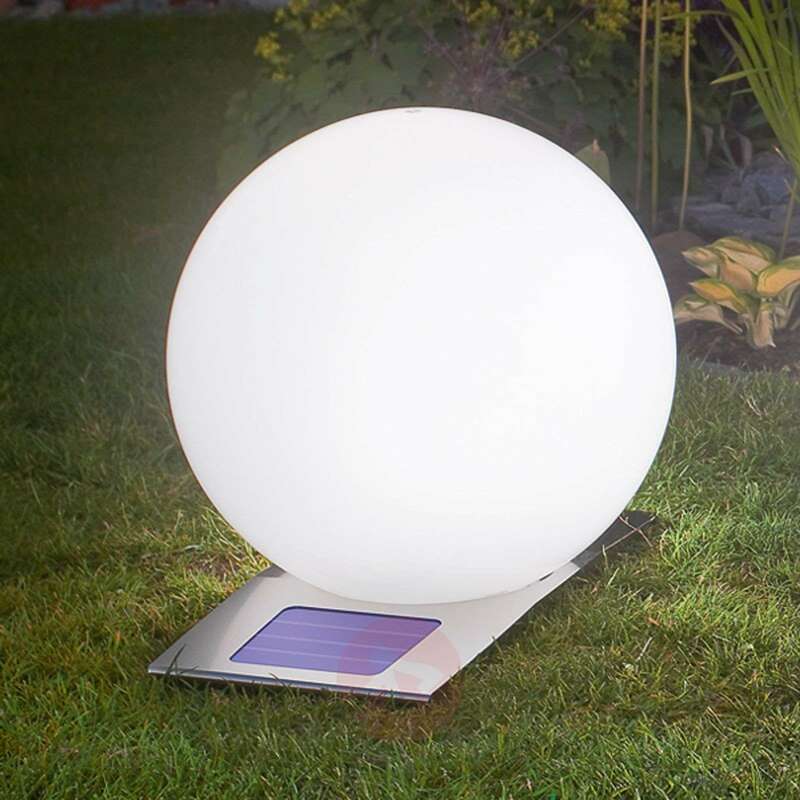 The solar module is installed in an elegant stainless steel base. However, you can optimally arrange it towards the sun. 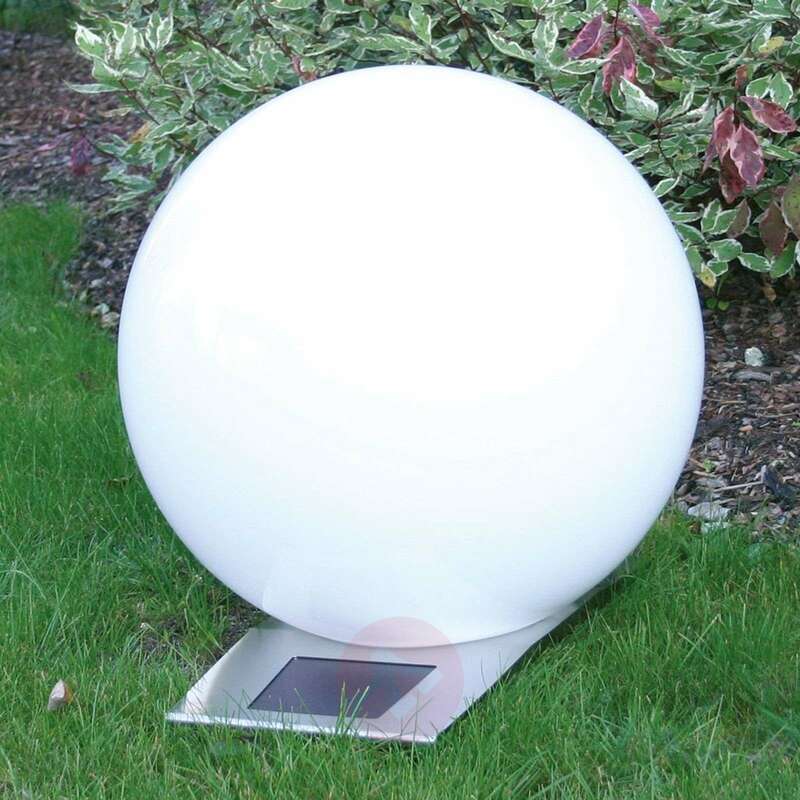 During the evening, this ball is a great eye-catcher in the garden or in the apartment with the stainless steel base. The colours are so vibrant can't take my eyes off it .Every person that sees this light Admires it.